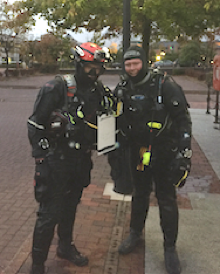 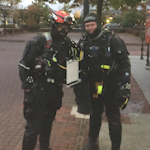 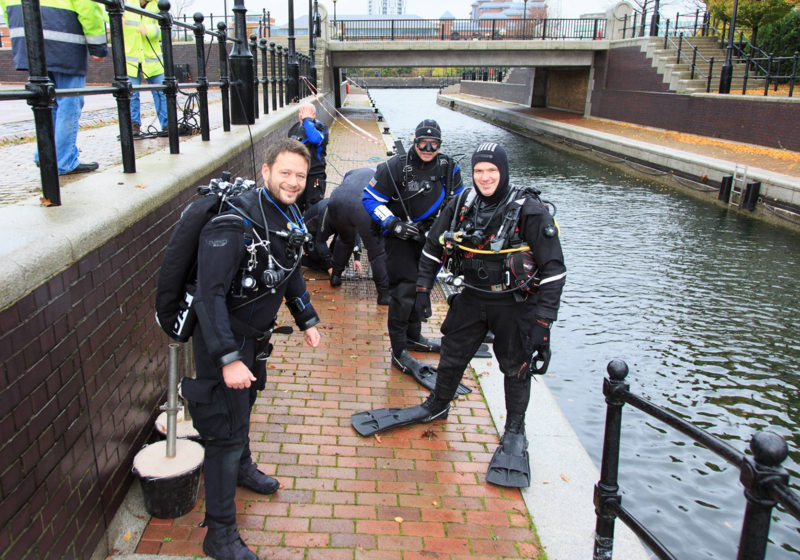 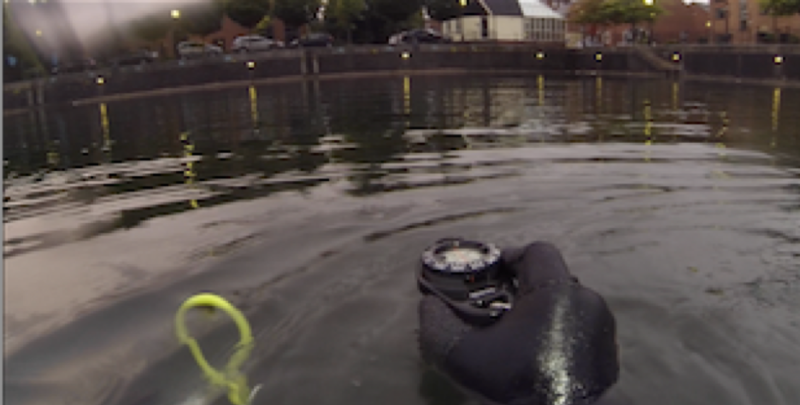 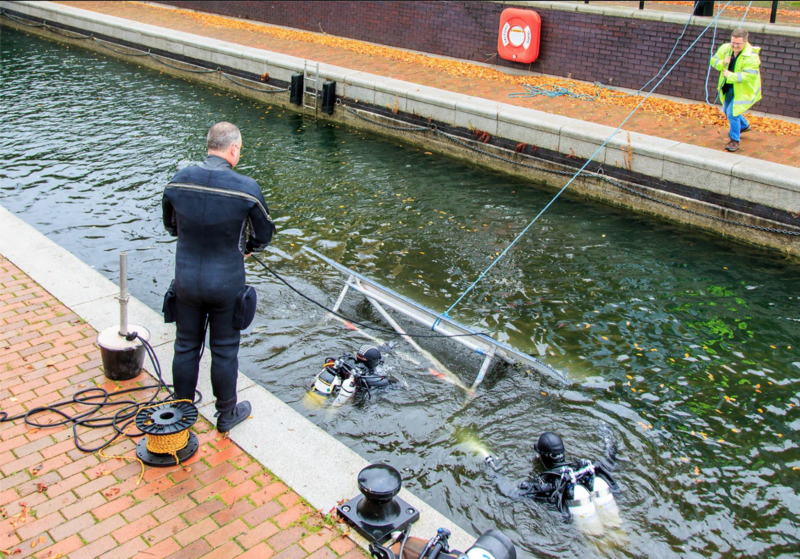 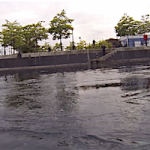 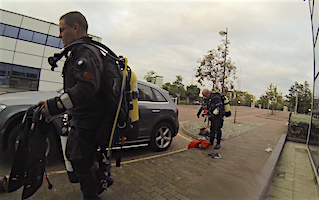 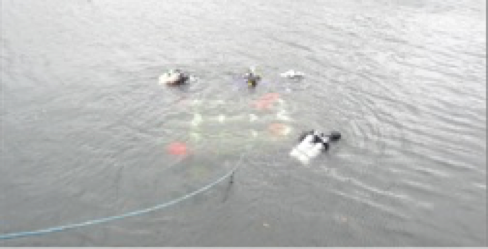 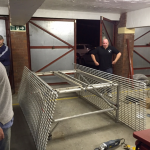 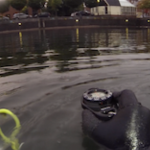 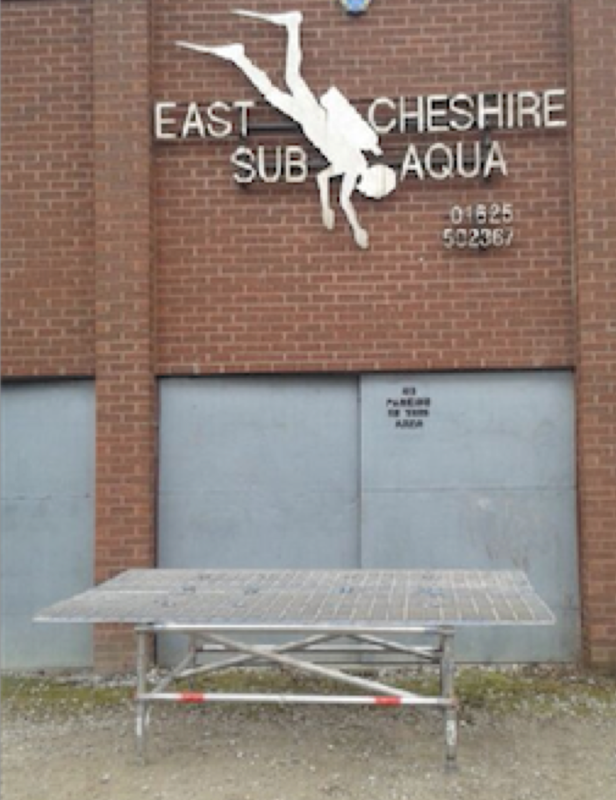 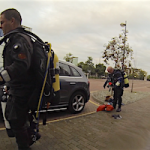 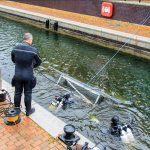 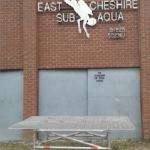 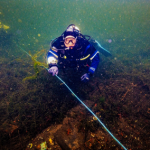 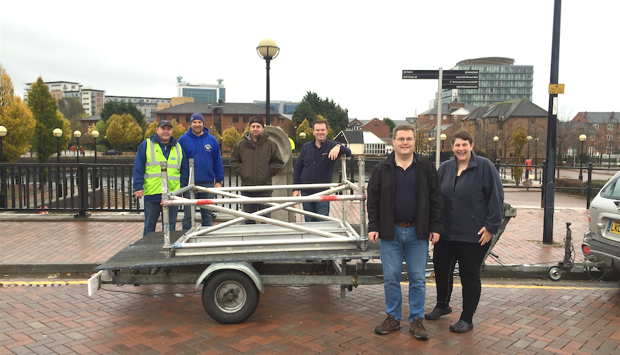 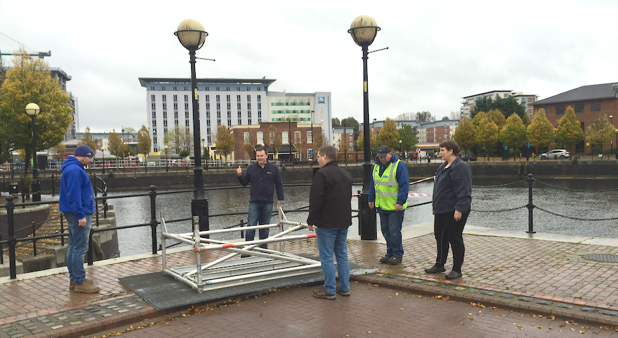 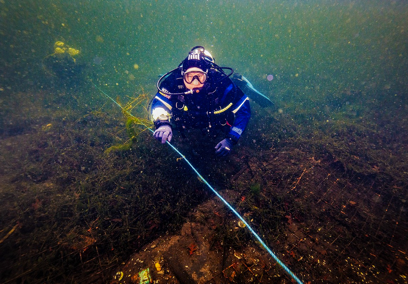 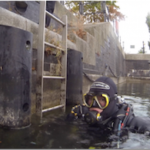 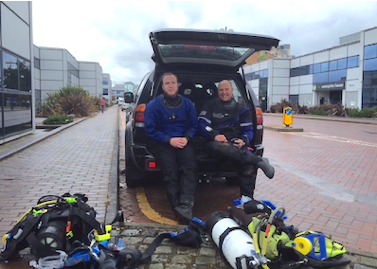 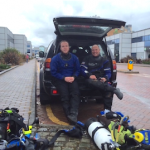 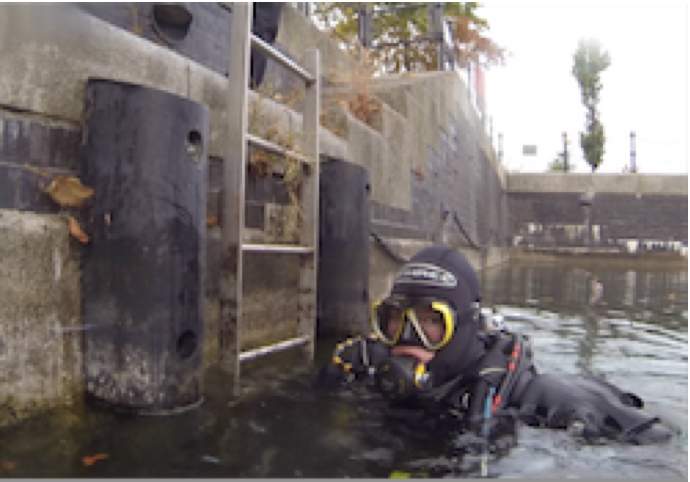 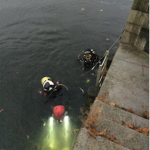 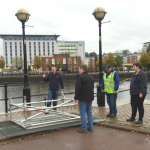 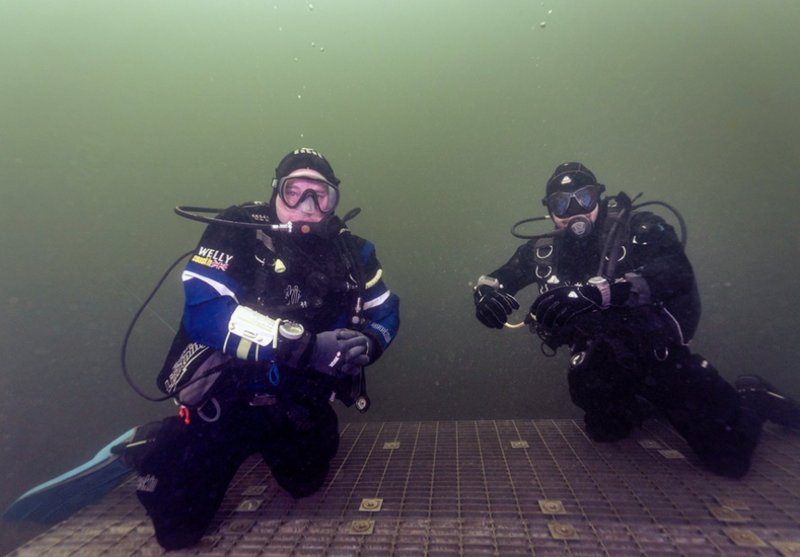 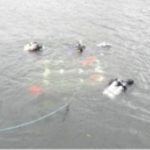 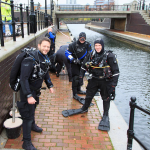 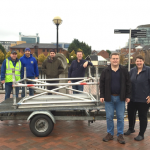 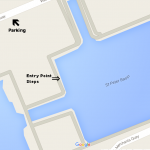 In 2015 East Cheshire Sub Aqua Club installed a 2 meter x 3 meter scuba diving training platform in St Peter’s basin further extending the use of the Salford Quays for watersports allowing scuba divers to safely conduct training away from the silt in the basin. 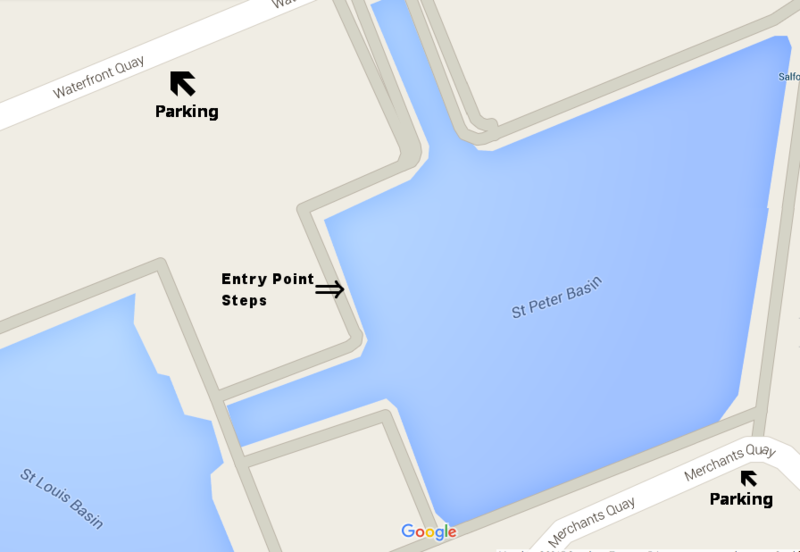 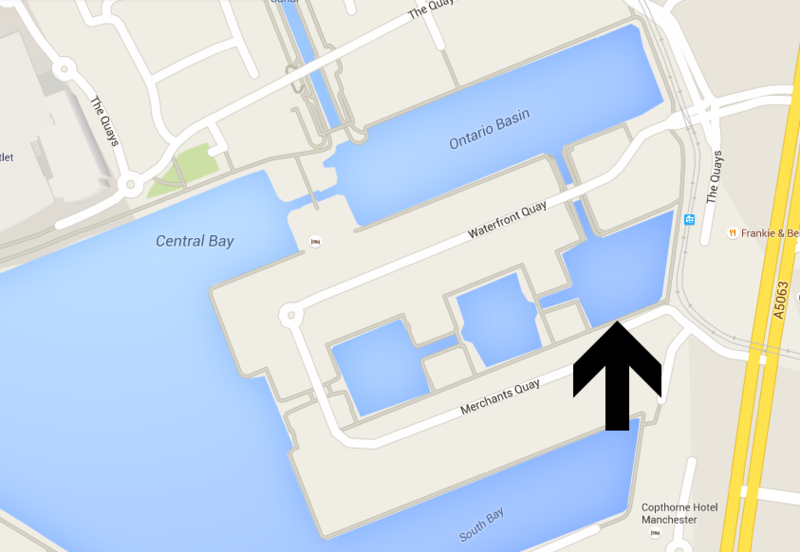 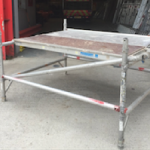 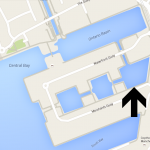 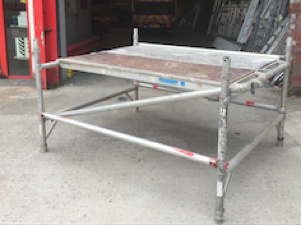 We have created a User Guide with everything you need to find and safely use the platform. 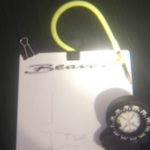 You can download a free copy below. 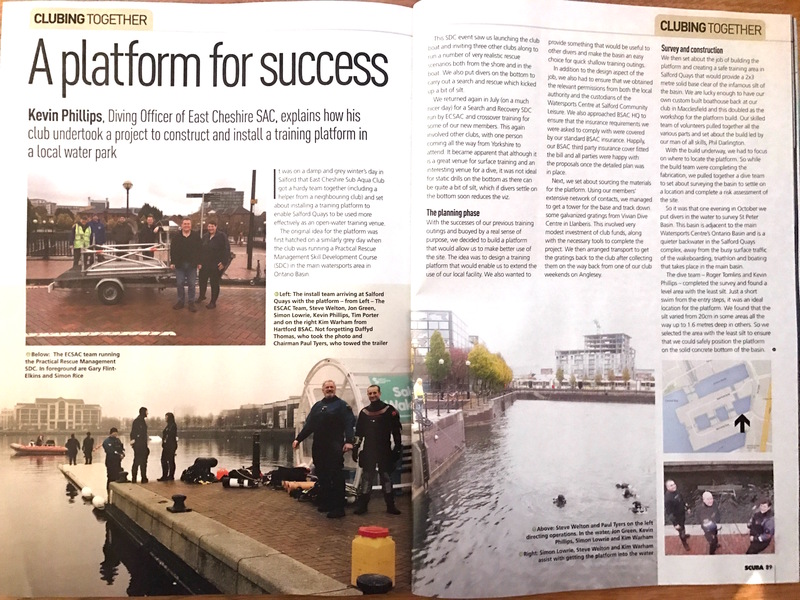 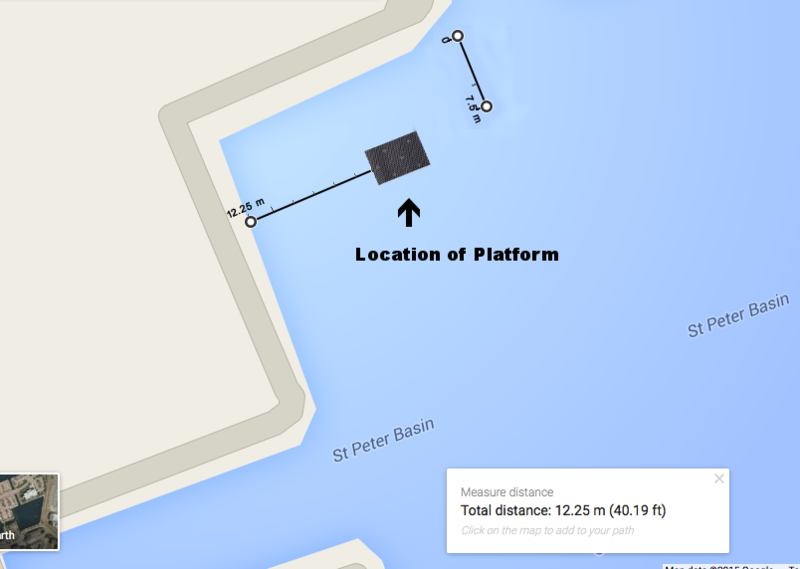 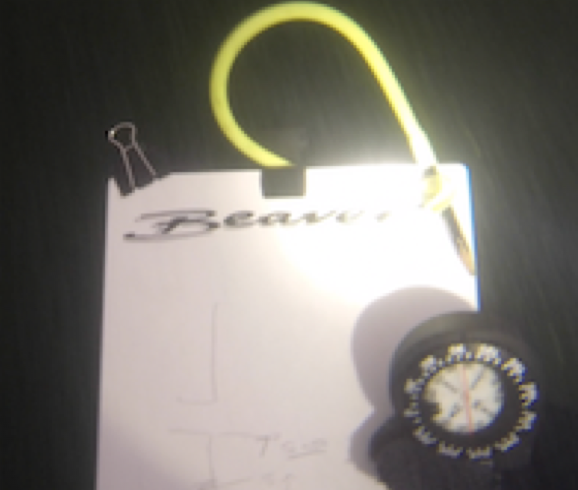 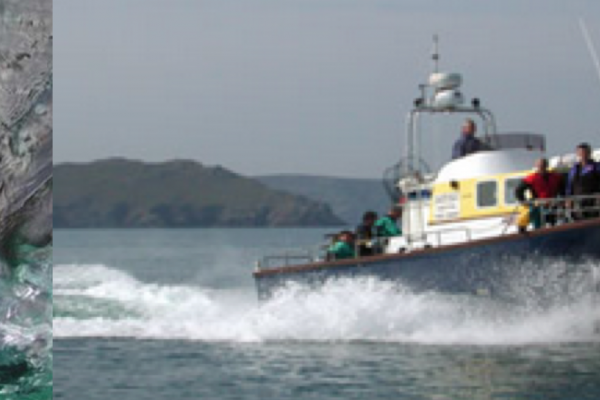 The club’s Platform Project was also featured in Scuba Magazine. 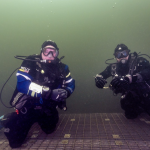 View some of the photos below. 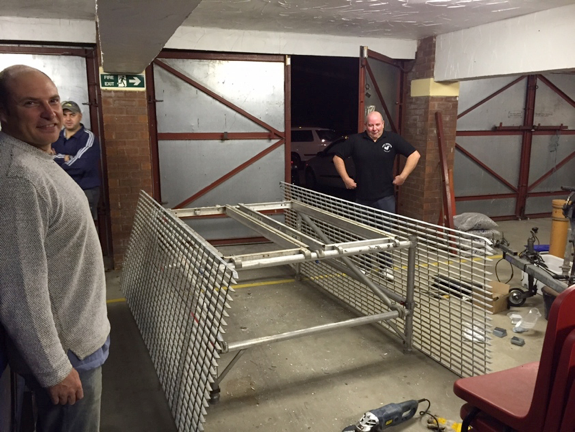 Following the installed rope from the steps to the platform. 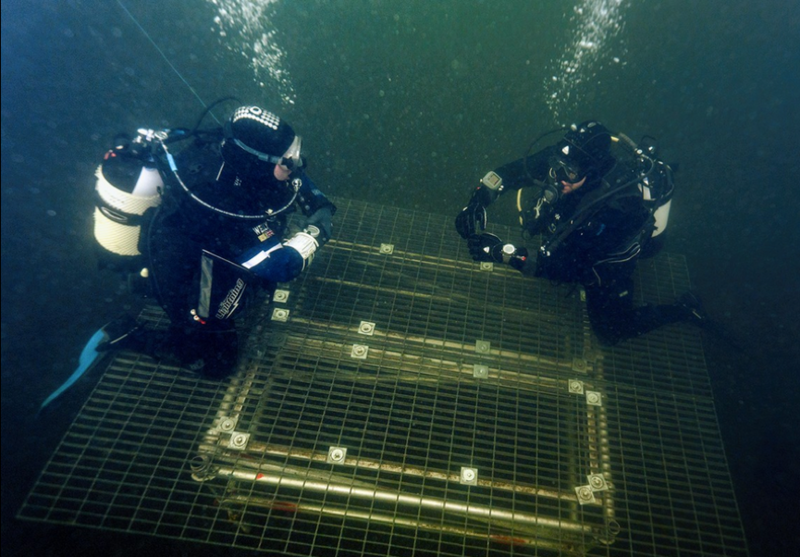 Sitting on the platform ready for training.